It's so convenient, and often set up as part of all new technology, however there is mounting evidence to suggest it can more harm than we would like to think. Don't get me wrong - I have WiFi, a mobile phone and other devices that I use and are in my house. The difference is knowing how to use them in a safer way. 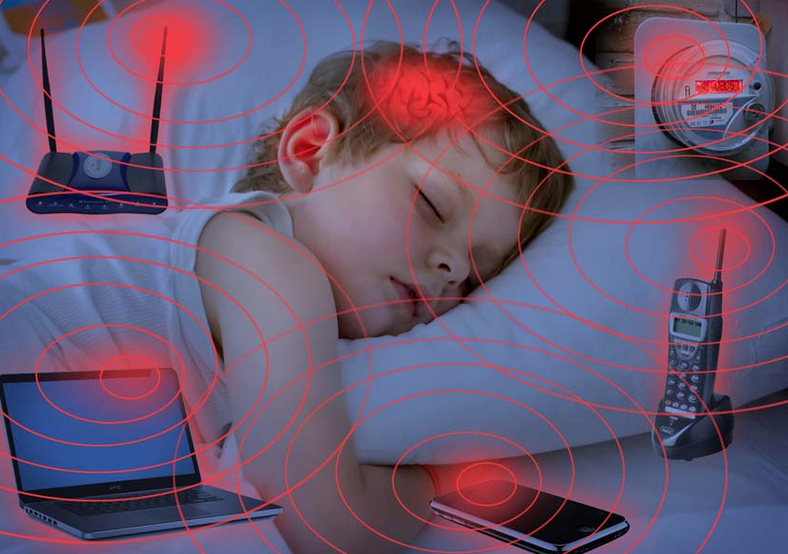 In 2011, the International Agency for Research on Cancer labeled radiofrequency electromagnetic energy (WiFi & mobile phones) as 2B possibly carcinogenic to humans. However, despite the fact that the exposure standards in Australia ignore children and vulnerable persons' exposure, the long term effects, and the evidence it leads to DNA strand breaks and oxidative stress, the government continues to assure it is safe for us to beam through our homes 24-7. Did you know, that Australia, the U.S. Britain and Germany has the highest WiFi limits for exposure standards in the world? Exposure Standards are 100 times lower in places like China, Russia, France, India, Israel, and 1000 times lower in Austria. This also includes your Bluetooth appliances and Smart appliances (like watches and wearable devices like earbuds), cordless phones, Smart meters, phone towers, modems & routers, electronic digital devices like iPads and iPods and wireless baby monitors and speakers. Most people assume what is allowable is safe, however our current exposure standards are not based on scientific evidence to actually prove they are safe. In fact, long term low level exposure can increase the risk of leukaemia, various cancers, infertility and electromagnetic hypersensitivity. Ideally, from a Building Biology and Precautionary Principle perspective, we don't wait for symptoms to manifest before we act. This means we act to prevent our health being affected before it's too late. Knowing the levels of radiofrequency emitting from your WiFi is really great to know so that you have some degree of control over your family's exposure. I recorded 2 examples using my high frequency meter, which measures in µW/m2. Ideally, anything above 10 µW/m2, will be cause for concern. The first video shows me walking towards a WiFi router that is turned on, and you can hear and see the meter maxing out. It then goes down when I walk away from it. SO......what to do? Don't panic! Turn off your WiFi router at night or when your family goes to sleep. Make sure the power is totally off, so some people turn it off at the wall or pull out the cable. Keep your router away from bedrooms and living spaces - preferably in a spare room where people don't spend too much time. Consider installing hard-wired ethernet cabling if you're really affected by or concerned with WiFi. You can get some modems that don't have the wireless option. Think twice about installing an abundant amount of smart-devices and appliances. If you do, make sure you power them down at night. Avoid boosters and power down the level of your router by contacting the manufacturer. Turn all phones, computers, tablets etc into flight mode as much as possible and especially at night. When the kids have downloaded their game/app, then put the device into flight mode (provided they aren't playing a game 'online'). Don't forget the Playstation and Xbox!